The father: American saxophonist John Coltrane, a forerunner of free jazz. Through countless session recordings in New York City and his magnum opus, A Love Supreme, Coltrane revolutionised his former bandmaster Miles Davis’ ‘cool’ 1950s translation of mid 1940s bebop improvisations. Coltrane did this by emphasizing a spiritual dimension to his own ecstatically physical playing, dragging the ragas of India into his fiercely burnished ‘sheets of sound’ playing during the 1960s. The mother: Alice Turiyasangitananda Coltrane, pianist, harpist, synth innovator, singer and composer. Alice Coltrane not only carried on John’s legacy after his death in 1967, she pioneered the evolution of free jazz into what is now known as ‘spiritual jazz’, best heard and understood on her infinitely beautiful record, Journey in Satchidananda. Hints of a psychedelic idealism and premonitions of a world music to come merged with her church training as a gospel musician and a distinctly avant-garde jazz approach. Alice spent many years as an Ashram swamimi based in California, allegedly to heal herself from the hallucinations and nightmares that plagued her after John’s death. From there, she built on his powerful musical quest with her own serene devotion. There was so much of John and Alice in Ravi Coltrane’s show tonight it was hard to separate the family journey from the experience of the moment. This history was present and breathing in the songs Ravi chose to play, which were invariably the compositions of his parents or those of their most significant session musicians like the double bassist Charlie Haden. The history was also present in the way Ravi phrased his saxophone – if you closed your eyes, it could’ve been John playing – impossibly – to the songs his beloved wife had written many years after his death. But Ravi did not rest on his family’s laurels; nor did any pedigree detract from the fact that he and his quartet were standout musicians, some of the best around right now. 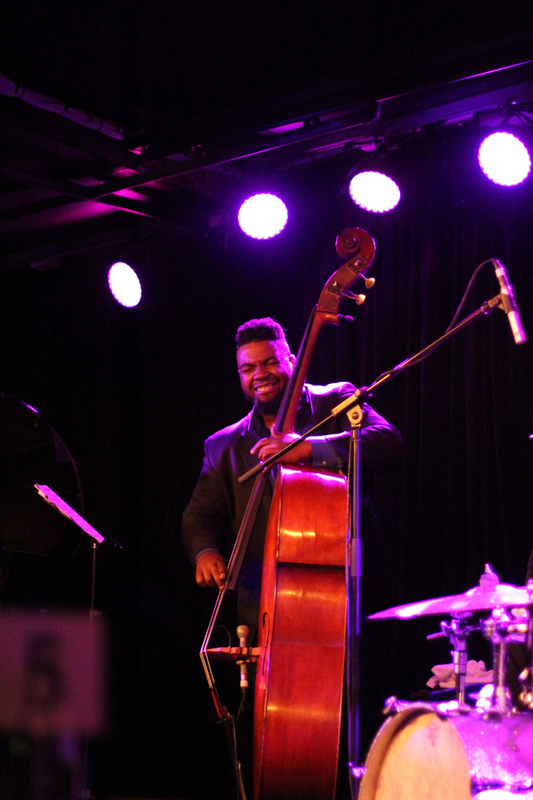 As if to prove this point, they began with a violent, pitiless, and sprawling New York City jam that showed off the technical virtuosity of all Ravi’s players – Glenn Zelski (piano), Dezron Douglas (double bass), and Johnathan Blake (drums). Its tone wasn’t joyful and it wasn’t sad; and the decision not to prescribe a mood was a parallax for the feeling of struggling and transcending with the musicians. We did not define this city; we entered it. Ravi’s hands were seemingly relaxed on the sax, barely moving as he arpeggioed up and down octaves. Each musician delivered an improvised spontaneity that can almost be taken for granted when heard on a record. Not here, not tonight. 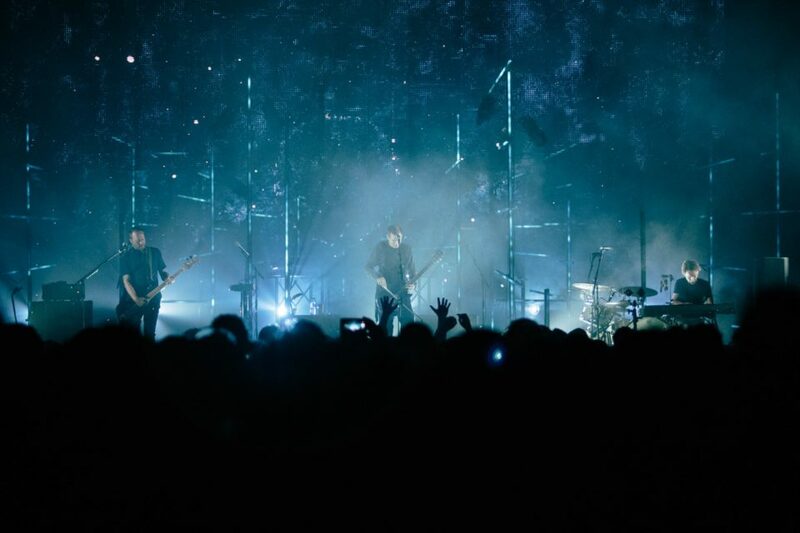 For all that, the first thirty minutes of the session were dominated by feelings of solitude and loneliness, a sound chaotic and rolling – and yet almost methodical in its delivery. It might be said each musician entered this city by their own means; and though each called to, or acknowledged the other, they remained quite obviously alone. But it wasn’t until the halfway mark, when the group performed Charlie Haden’s enchanting First Song, that the band truly came together and gave us a veritable atlas of emotional states: beginning with a slow push and pull of the piano’s melancholia, rising to the spiritualised hum of Coltrane’s sax, and the shining emphasis of Dezron’s bass echoing beneath it all. It was the closest they reached all night to soaking the crowd in an ambient nirvana. At some point during First Song I wandered over to the bartender, who poured me a Lord Nelson’s when I had asked for a glass of red. Once I mentioned that she’d gotten my order wrong, she stabbed her finger at Dezron, who was midway through a double bass solo, and blamed her mistake on his playing being too mesmerising. I almost couldn’t figure out why I was at the bar myself. She was right: as an instrument, the double bass is not usually given quite so much of the solo spotlight. But there was something hypnotic in the Middle Eastern textures, the sheer excitement of hearing Dezron create, with that plastered-on grin of his, a fist-clenching tension and resolution. 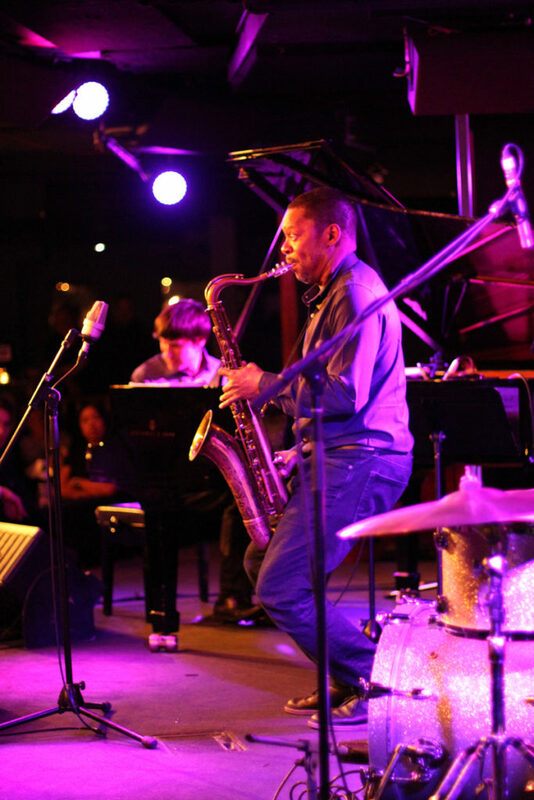 Ravi Coltrane announced a return to conscious reality with a few notes on his sax that soared above the band. They picked the song’s main thread up seamlessly from where they’d left off. The result was suddenly comforting, reassuring – like coming home. It’s perhaps this inhale/exhale motion inherent to free jazz that produces its greatest exhilaration, the quality of movement within and almost beyond it; a feeling of dreams flying off and re-entering our sense of here and now. And just as quickly disappearing in a way that creates a sudden space for awe. The group finished the night with an extended rendition of Ornette Coleman’s Round Trip. It was given an idiosyncratic edge when Ravi swapped his saxophone for the oboe – and played it, I think at least, more impressively than he’d done on the sax all night long. It was difficult to perceive whether he ever stopped to take a breath between phrases. The joy and atomised energy of Round Trip was an immediate throwback to the New York jam they’d begun with. Except this time, we witnessed a band in full swing, having grown closer and closer along their two-hour journey. 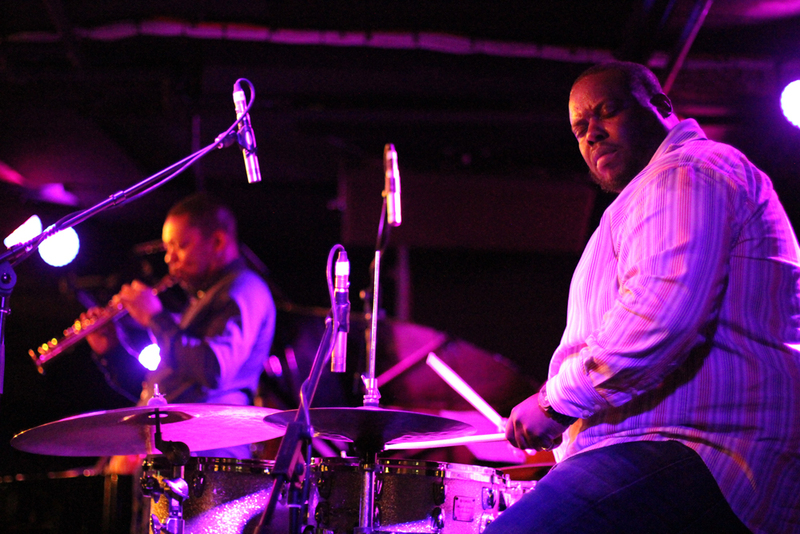 Ravi Coltrane’s quartet left the stage to a room on their feet and chants for more. But there wasn’t any more. Under the hazy purple lights the musicians were perspiring and visibly panting, exhausted. It had been an unseasonable 31-degree Sydney day. The transcendence they’d just delivered seemed to belong to that elemental bend in the weather, to a city outside and another one mapped now inside us. No, the quartet didn’t return with an encore. But I left feeling as though they didn’t have to, as they’d given everything already, pouring it – and us – into the dissolving heat of the night. 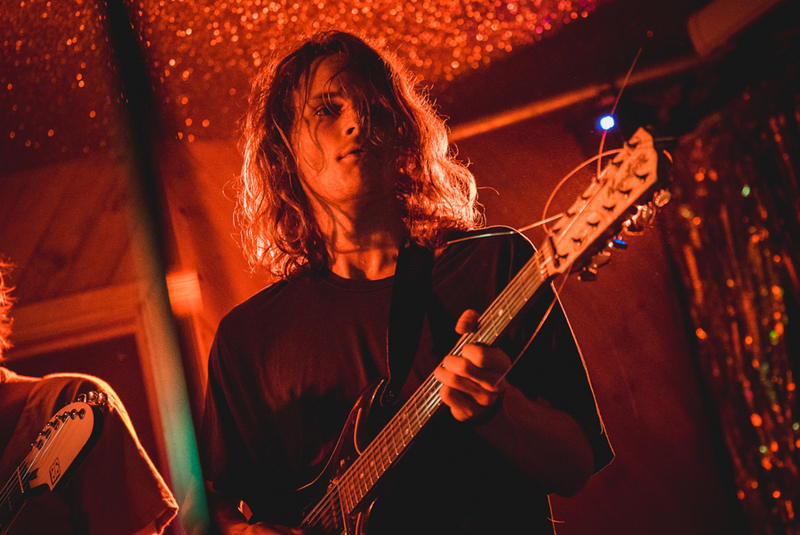 On stage King Gizzard make signs of the beast, kids in Wizard hats crowd surf, the Indian techies dance like they are on Big Bang Theory. Tense and beautiful, Sweet Country is utterly gripping from the first scene, an extreme close-up of white sugar being stirred into black tea and boiling in a billy, while racist violence occurs off screen, heard but not seen.